NEW SHIRT! Just in Time for the Holidays!!! 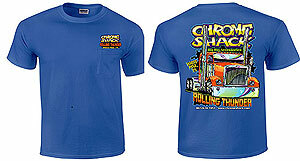 Truck on Back Is Color Of Shirt, with Logo Over Pocket ! RED Truck on Back with Logo Over Pocket !